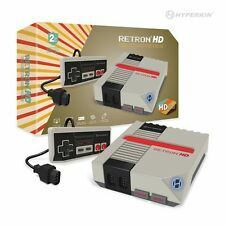 Showing results for "hyperkin retron 3"
eBay Hyperkin RetroN 5 Retro Video Gaming System Console - Gray - Newest Edition ! 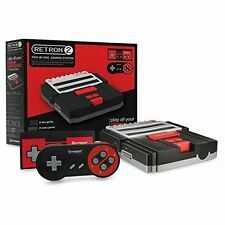 Hyperkin Retron 3 Video Game System for NES/SNES/GENESIS Product Features Two original control ports for each gaming platform S-video and composite AV inputs Compatible with original Nintendo, SEGA Genesis or Super Nintendo controllers Includes two wireless controllers (batteries not included) Available in vector red or charcoal gray color Product Specifications Shipping Information: View shipping rates and policies Why you Should Buy From Silversun77? Trusted Seller & Amazing Feedback Quick Shipping and Tracking HUGE Discounts Excellent Returns Policy TOP Notch Customer Service Shipping & Returns We Ship Internationally! 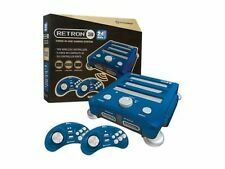 14 Day Money Back Return Policy Items Ship within 24-72 Hours Product Description Thank you, please let us know if there is anything else we can do for you!